Beer and bacon makes everything better. Even something as close to perfect as a Caesar. To some people, the idea of mixing beer with any other liquid is blasphemous. I admit I used to have the same frame of mind. However, I have recently adopted a less skeptical point of view. Say you are given a beer that is less awesome than you are accustomed to. Adding a dash of the right liquor, bitters, or mix is an easy way to increase your drinking pleasure. You may not always have access to craft micro-brewed double IPAs and chocolate porters. When life gives you Coors light...add lemonade. The “Shandygaff” is a beer cocktail made popular in the 1800s, and was described by Charles Dickens as "an alliance between beer and pop." The original concoction was a spicy affair between beer and ginger ale or ginger beer. The abbreviated term “Shandy” is often heard when sparkling lemonade or lemon-lime soda is used instead. Someone decided to use Mike’s Hard Lemonade instead and the “Turboshandy” was born. The “Black and Tan” is another well-known beer cocktail. I hesitate to even call it a cocktail, as it is merely the mixture of two beer styles. 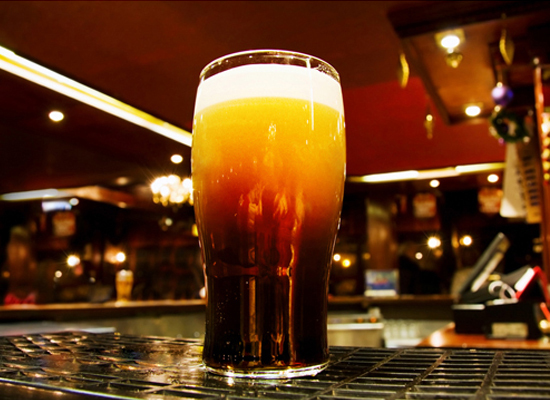 When made properly, by carefully pouring the stout over a spoon, the darker beer should float over the pale ale to achieve a layered effect. This drink is even available pre-mixed from Hockley Valley Brewing Company and seasonally from various other producers. There are many variations of the “Michelada”, a fiery Mexican invention. 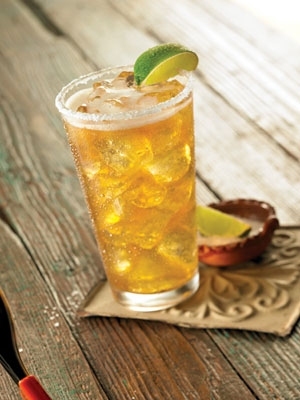 Lime juice, hot sauce, Maggi seasoning, and a salt-rimmed glass make a light lager even more refreshing on a hot day. Impress people by saying you’re “replacing your electrolytes”. What’s my favorite beertail? The “Dirty Ho” of course – one part Hoegarden, one part Fruli. Also known as the “Strawberry Angel” among the less profane. The “Bloody Caesar” cocktail is a classic Canadian drink, invented in 1969 by a restaurateur named Walter Chell. The drink is similar to a Bloody Mary, but uses Mott’s Clamato cocktail in place of tomato juice, a peculiar yet popular tomato and clam broth blend. 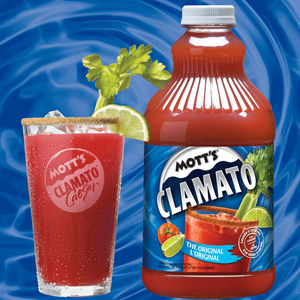 Clamato juice is also used in the “Red Eye”, a popular breakfast drink among those who have enjoyed a long night of drink and debauchery. I find that most otherwise ordinary foods are greatly improved by the addition of beer. The same effect is seen with the presence of bacon. While the traditional Caesar cocktail contains neither, I think it will benefit greatly from the addition of both. Bacon vodka shots are not for the faint of heart. Fry bacon and drain, reserving the fat. Fill a glass jar with vodka (a mason jar works well). Pour the bacon fat into the jar with the Vodka, and add 4-5 cooked slices. Seal the jar tight and put it in a cool, dark place for about 4-5 days. After 4-5 days, remove bacon strips from the vodka and set aside. Transfer the glass jar to the freezer. The bacon fat will solidify, while the vodka will remain in a liquid state. While you wait for the fat to solidify, eat the vodka-infused bacon. Do not drive under the influence of bacon. Once the oils are frozen, use a spoon to remove the large fat particles. 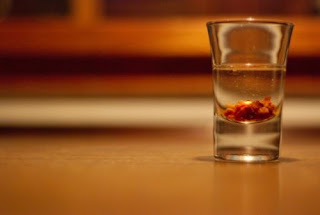 Using a coffee filter, strain the vodka into another clean jar to remove remaining fat and bacon pieces. Stir in liquid smoke if desired. Enjoy your bacon-infused vodka responsibly. Note: The liquid smoke brings out the flavor of the vodka, should you choose to try it alone, say as a shot. I don’t recommend this course of action. Speaking from experience. Bacon, tomato, beer, and vodka. All the four food groups. Line the rim of a glass with lime juice and rim with celery salt. Over ice, add vodka and clamato juice, then slowly pour in beer. Add remaining ingredients (lime juice, Worcestershire, liquid smoke, and Tabasco) and stir gently to combine. Garnish with a lime wedge and a piece of bacon.